The mission of the IAP is to ensure that children in Suffolk County are fully immunized by their second birthday, and that all infants born of hepatitis B positive mothers are appropriately identified, treated and tracked. To comply with this mission, the Department holds immunization clinics, conducts immunization audits in private provider's offices and nursery/day care centers, conducts educational programs for health care professionals and stakeholder members in the community and responds to immunization questions. All schools and child-care facilities in the state have received the attached announcement and publications about the influenza education amendment to public health law Section 613. This reminder went out as an email to most, and via regular mail to approximately 8,000 child care facilities statewide. 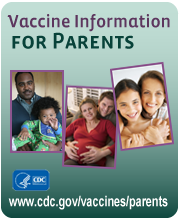 The New York State Department of Health and the CDC recommend that all people 6 months of age and older get vaccinated as soon as vaccine is available. MUST ARRIVE ½ HOUR BEFORE END TIME. SCHOOL REQUEST FORMS ARE NOT ACCEPTABLE. MUST BRING CHILD’S SHOT RECORD. 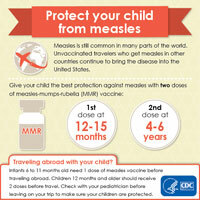 Information to increase awareness of measles symptoms, how easily it spreads, the potential health problems it can cause, and vaccine recommendations.